This installment of The Five Count featured an exclusive interview with WWE Superstar Luke Harper. Harper is a former WWE Intercontinental Champion, SmackDown Tag Team Champion, and NXT Tag Team Champion. 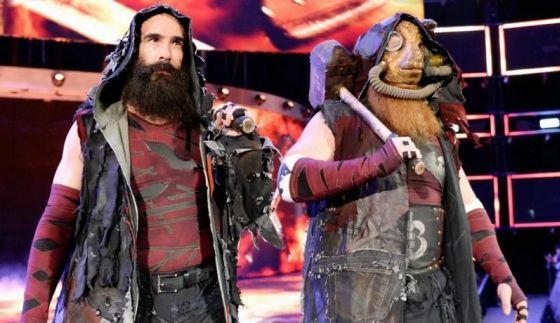 He’s a former member of The Wyatt Family and current member of The Bludgeon Brothers with Erick Rowan. We were also joined by Ted Geoghegan, writer and director of the film Mohawk. During the show they discussed the making of Mohawk and Harper’s role in it, Harper discussed his future as an actor, and his current tag team with Rowan. After that, we followed the buzzards! During the rest of the show we announced the beginning of the long-overdue overhaul of our website, discussed the dangers of misusing neti pots, and gave away tickets to WWE Live Road to Wrestlemania, March 9 at Target Center in Minneapolis. It pays to listen to The Five Count!